Sign up by Saturday May 4th and join us for our kickoff Nutrition Workshop with Dancers Shapes's nutrition health coach Megan Adams Brown. Enjoy samples from Juiceland during the workshop which will be held from 1:15 - 2:15 pm followed by a 30 minute Q&A. 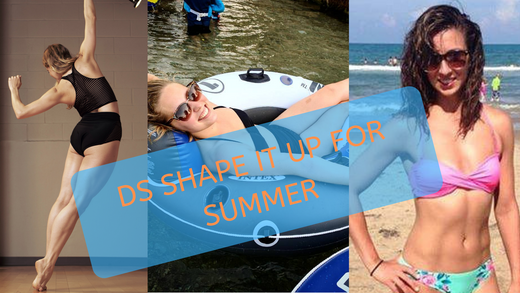 Get the support and accountability so you can stay committed for the next 4 weeks in May and hit your goals just in time for summer! Attend unlimited Dancers Shape group classes from May 1st - 31st. Pause any current class package you have and join the May Shape It Up for just $225 OR stay on your current class package and add the nutrition piece (workshop, meal plan, support group + more recipes and resources) for only $99.